I'm always on the look out to discover new scents whether they have just been released or have been on the scent market for sometime. I was browsing online and came across the Vera Wang Fragrances and what caught my attention was how stunning the bottles are, that hold each signature scent. 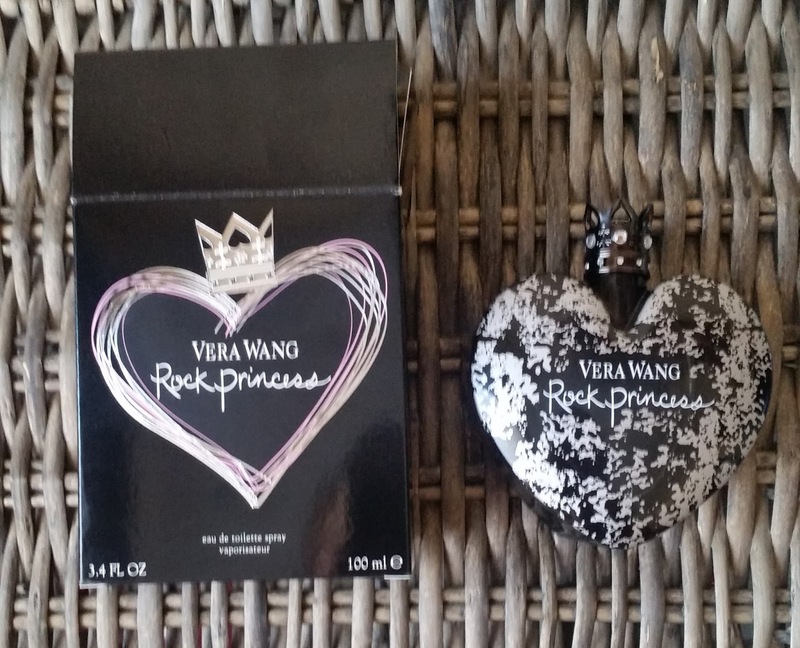 Ive never owned nor tested a Vera Wang perfume before so was really excited when i purchased the Rock Princess Eau De Toilette. What caught my attention was how different and unique the bottle is, from all the others in my collection. The dark heart shaped bottle which fits perfectly in your hand, to the crackle effect on the front, gives this bottle a mysterious aura before you have even made a judgement about the scent. The added touch of elegance and luxury shining from the metal bling ring that sits around the neck of the sprayer and also the metal royal crown that sits to protect that spray head, both can be took off and worn as a fashion statement whilst your rocking the rock princess scent. Rock Princess debuted in the scent market in 2009 and is labelled to be a limited fragrance that shows a rebellious side of a princess with its dark, floral and fruity attitude. 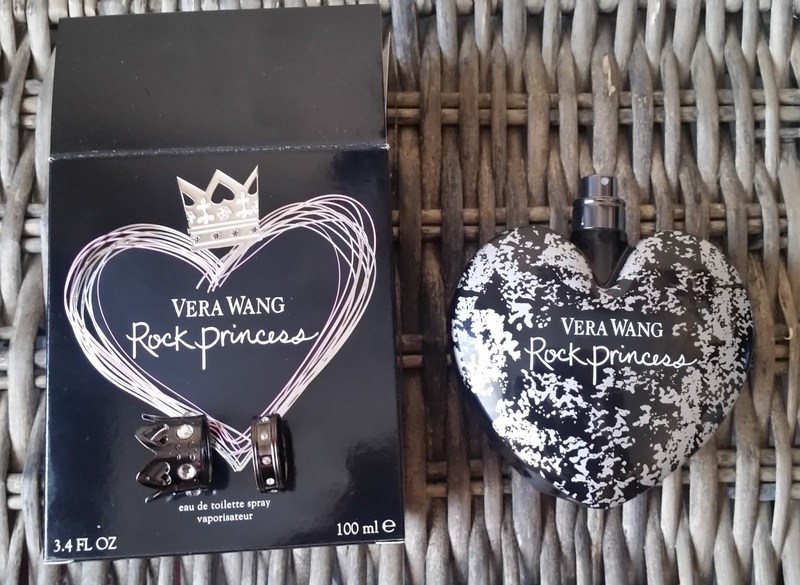 Rock Princess ticks every box that you maybe be wanting from a fragrance by it being sweet and fruity with woody and musky undertones. Add a touch of white floral and powdery senses then rock princess is a perfect concoction that is inoffensive. I was really surprised on how well this lasted throughout the day, by it being an Eau De Toilette, they tend to fade quicker and require a few more sprays during the day for you to experience the scent again. The scent lasted on me at least eight hours and even then you can still detect it sitting close on your skin. What is great about this scent is all the notes work really well together, so you are not getting a scent that has one or two domineering notes, but you are getting a harmonising unique scent that is suitable for any season or occasion. Unique Bottle, Unique Scent! X Neil.